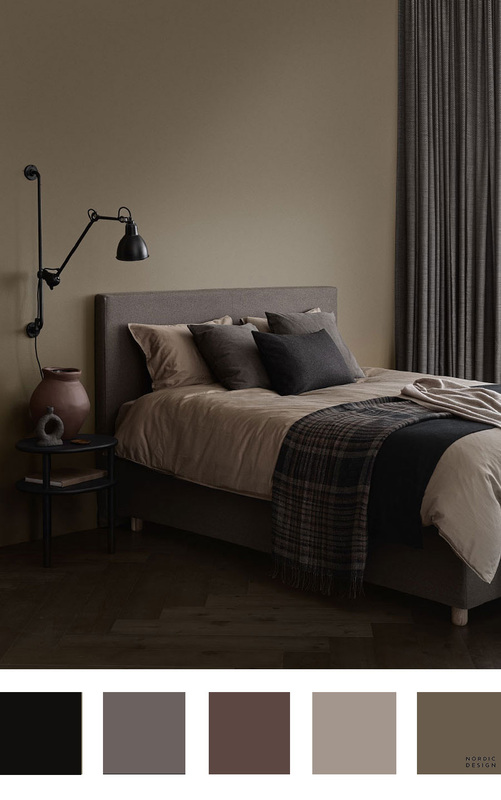 I came across a series of beautiful pictures from Finnish brand Matri, which focuses on everything bed-related: Pillows, blankets, nightstands, mattress protectors and comfort pads, legs, bedding, etc. 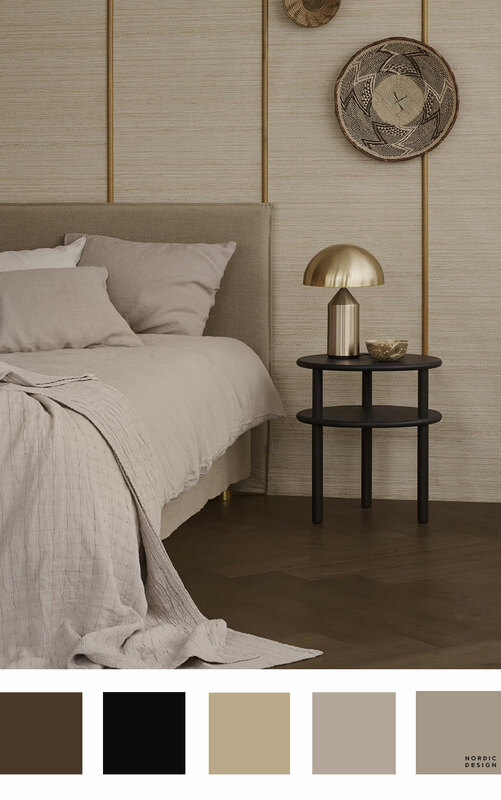 Interior stylist Susanna Vento worked on the campaign and the concepts she came up with are inspiring. 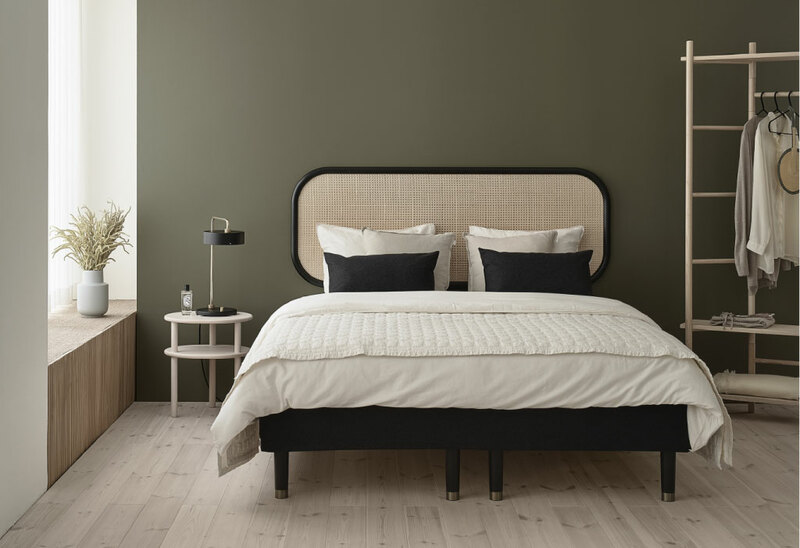 One bedroom has an olive green wall, which contrasts beautifully with the rattan headboard, and a few black accents ground the look. There is one with a pretty pop of coral, while the others mostly have a tone-on-tone palette. 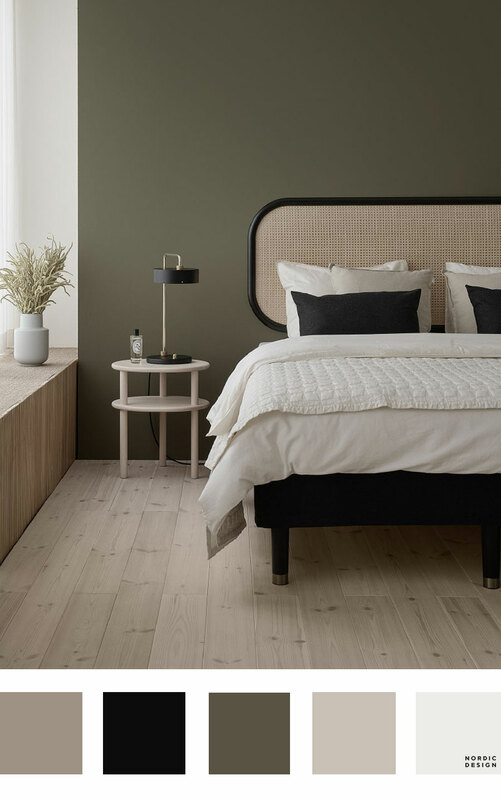 I deconstructed the looks for you, with the different colors, to make it easy to implement them in your home – A good starting point for your future bedroom makeover! If you like this sort of post, don’t hesitate to let me know in the comment section below. You can also have a look a previous posts: ‘Color Lesson form ferm LIVING‘ and ‘Color Lesson from Gubi‘. Hi! It is a gorgeous color! I don’t have the exact code, but it is a brown with a touch of pink. Try something like 20/26/31/0.